The following is a post from Isabel Siragusa, a Customer Experience Expert at Metromile. Dealing with car trouble is never easy. It’s costly, inconvenient, and hard to know who to trust with fixing your car. As a Customer Experience Expert at Metromile and a car owner in a busy city like San Francisco, I feel your pain. I may talk car insurance every day, but when I first started, I realized I knew very little about how my own car works. Since Metromile is all about making car ownership as simple and affordable as possible, I’ve compiled a list of things that I think every car owner should know. Do your homework. Every car works a little differently. Whether you are trying to figure out how much air to put in your tires or where to check your oil, it’s worth doing a little research before calling for help. Many answers can be found with a quick internet search or in your owner’s manual. You might even save some money because mechanics sometimes charge extra if you don’t know what you are talking about. And if you have the Metromile driving app, you can diagnose car troubles right from your smartphone. Geography matters. According to my mechanic, if you’re living in San Francisco, the hills are going to cut the lifespan of your brakes in half. And if you are in Chicago, cold weather could put a lot of pressure on your car which means your tires and battery won’t last as long. If you can, park the front of your car near to a building to keep it warm. Dealing with flat tires. Don’t freak out if your tire looks like it might be losing air, but definitely deal with it or you’ll end up spending more on gas. If you can drive, go to the nearest gas station. Note that tire pressure readers at gas stations are generally inaccurate, so bring your own gauge (Metromile will even send you one for free). And if you’ve driven more than a few miles, the reading might be high because driving increases air pressure. After filling up the tire, check it again in a few hours. If it’s decreasing slowly, find a local tire store. If it’s in the 20s or lower, call a tow truck. 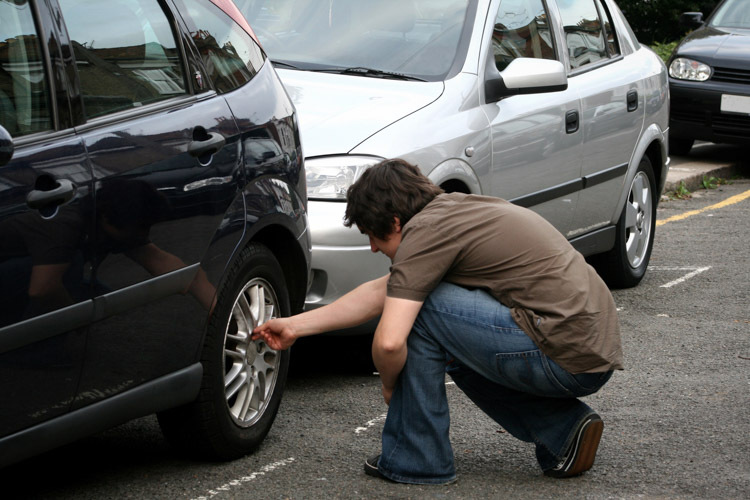 Even if you don’t have a flat, it’s good to still your tires properly inflated. Most cars have an optimal PSI between 30 and 40. If you look on the side of your tire, you’ll find the maximum PSI. Don’t go over that number and ideally stay somewhere slightly below. Make sure all four tires have the same amount of air in them. If you need to let air out, push the pin on the air valve in towards the tire. Changing your oil on a regular basis. I’ll be perfectly honest. I’ve never done this myself, but you can easily have this done by a mechanic. Changing your oil keeps your car running smoothly and extends the life of the vehicle. Try to get it changed every 5,000 miles, and if you live in a cold climate then you should do it more often. If you want to check your oil level before it gets changed, locate the oil in the front of the engine and pull out the dipstick, wiping it clean. Dip and pull it out again, and you should see two lines. If you don’t, you can buy more oil at the gas station. When you are checking your oil level you can also see if it’s time for the oil to be changed altogether. If you see dirt when you rub the oil between your fingers then its probably time. Fixing your brakes. Squeaky brakes are never a good sign because they mean the brake lining is starting to wear thin. But how long can you go until you need to get them repaired? The longer you wait, the more expensive it’ll be. If you notice squeaky brakes or your brake light comes on, you don’t need to stop your car on the side of the ride, but you should get them serviced soon. According to my mechanic, you still have 20% of the pad left which could be up to 2000 miles. However, if your brakes start to grind or grumble it means you’ve worn through the pad and it’s definitely time to see a mechanic! Hope this helps! If you want more tips, send us a tweet @Metromile .